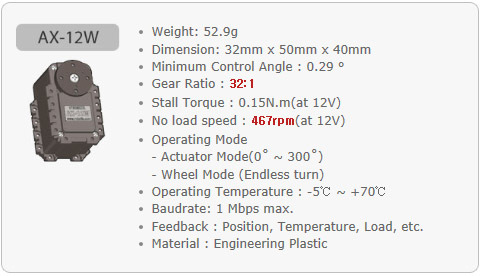 Product Name : Do you know ROBOTIS STEM? ROBOTCLUB® Malaysia is Robotis's Exclusive Distributor in Malaysia since 2008, we supply, distribute and as training provider of ROBOTIS STEM kit in Malaysia. ROBOTCLUB® Malaysia using ROBOTIS STEM Kit for K-12 education in Malaysia especially for the high school students. There are two (2) levels in the ranges of products, each level transfer valuable knowledge in guiding younger inventor to develop their robotics skills. Each levels consists of a Teaching Book which you difficult to find it from other robotics kit. ROBOTIS STEM Kit is using at international schools, vocational schools / college, Technical schools / College, MRSM, undergraduates in Malaysia in their creative and hands-on curriculum. It has been proved as an effective study for the students. ROBOTIS STEM Kit is using at all e@Robotclub centres in Malaysia in our robotics education programme, please refer http://www.erobotclub.com.my/for details. ROBOTIS STEM Kit is the best robotics kits using in the class which provides an organized learning systems by blending Science, Technology, Engineering & Mathematics. ROBOTIS STEM provides various learning points and challenges. Newly designed AX-12W and IR Sensor array are perfect for the robot competition. Education Robotics Kit-Do you know ROBOTIS STEM?